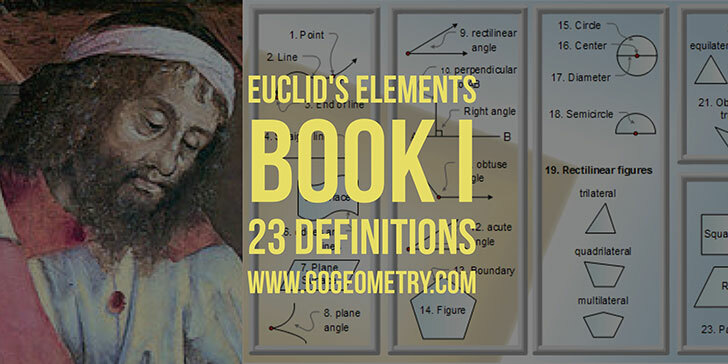 Euclid's Book 1 begins with 23 definitions — such as point, line, and surface. Following a visual illustration. Jigsaw Puzzle: Click Here to Play . Definition 1. A point is that which has no part. Definition 2. A line is	breadthless length. Definition 3. The extremities of a line are points. Definition 4. A straight line is a line which lies evenly with the points on itself.